Studio Rockers returns this May with a five-track package from Marcel Lune, featuring remixes from EVM128 and Redpine & Solo. Tony Thorpe has been pressing â€œgoâ€ on some quality releases of late with a stellar debut EP from Redpine & Solo having just hit the shelves, and work by Bunny On Acid and EVM128 coming out last year. Now the Studio Rockers head honcho brings to you the new EP by Bristolâ€™s Marcel Lune (aka Motz Workman) who last summer guested on the Studio Rockers takeover of GetDarkerTV, released the â€˜Intergalactic Dance Floor Massacreâ€™ EP on the label in 2013, and has had previous releases on Loco Dooms and Audio Doughnuts. Two remixes of lead track Fantazia ft. Haze round up this EP and a shuffling 2 step sets the groove in EVM128â€™s remix recalling early noughties UK garage. Things get a bit more serious and dramatic on Redpine & Soloâ€™s DnB reworking of the lead track as the drums ebb and flow from a mere minimal use to building a full-pelt punch at the height of the track. â€˜Marcel Luneâ€™ EP by Marcel Lune will be out on 18th May on digital. 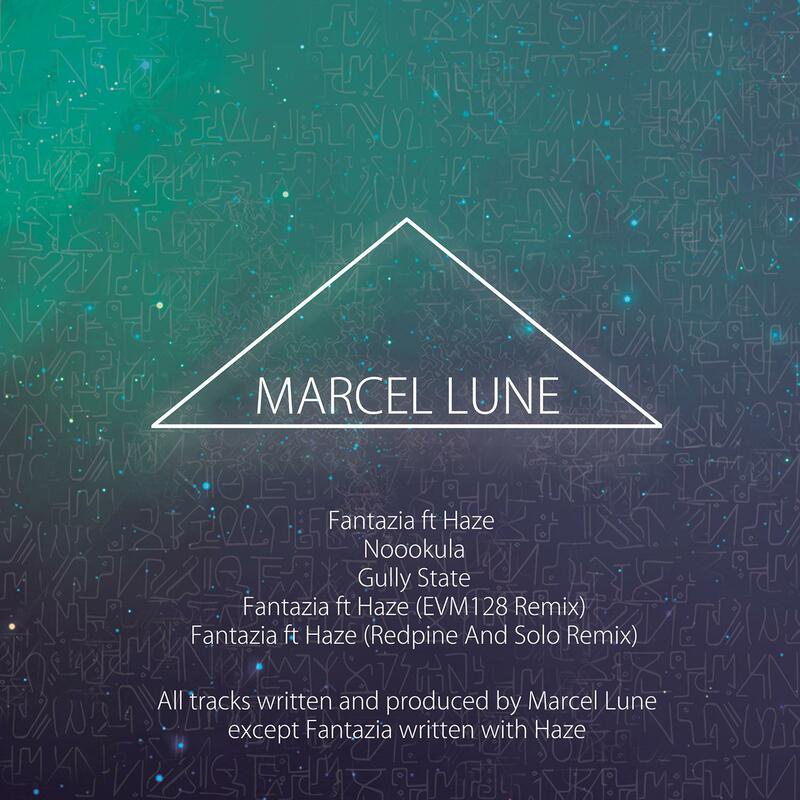 All tracks written by Marcel Lune except Fantasia by Marcel Lune & Hazel Tratt. Additional Remix and Production on 4 by EVM128. Additional Remix and Production on 5 by Redpine & Solo. Published by Dharma Songs. Except track 1,4 & 5 by Dharma Songs / Copyright Control.